The Center Education Foundation Distinguished Alumni Award recognizes graduates whose deeds and character exemplify outstanding achievement in their life's work and/or service to their communities. The honorees' spirit and leadership are worthy of recognition and have inspired praise and gratitude among their peers. Recipients of the Distinguished Alumni Award must be graduates of Center High School and must have graduated at least 10 years prior to their induction. The award was started in 2012 and recipients are recognized annually at the Foundation Gala. The Foundation is proud announce the 2019 recipients of the Distinguished Alumni Award; Lori Borgman of the Class of 1972 and Dr. Patrick Caffrey of the Class of 1973. They received their awards at the 2019 Autos & Auctions Gala on March 2, 2019. 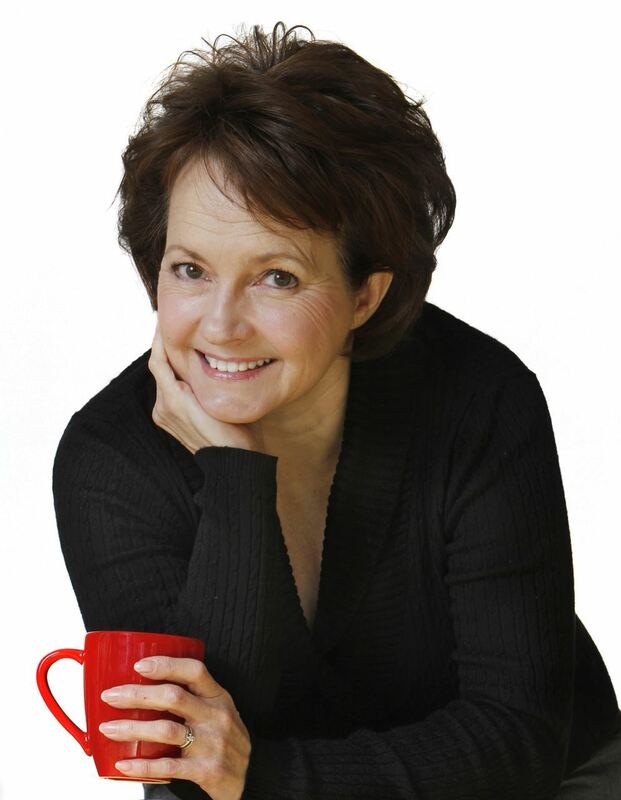 Lori Borgman, CHS class of 1972, is a newspaper columnist, author and speaker. Her newspaper column touches on a wide array of topics ranging from the truth about nagging to the hazards of upper arm flab. She is also the author of the popular essay, “The Death of Common Sense” which has gone viral, having been published in the U.S., Canada, Great Britain, Australia, Ireland, Finland, Iceland, Portugal, Spain, the Philippines and Greece. Her column is distributed to more than 400 papers and media outlets throughout the United States and Canada. Patrick Caffrey, Ph.D., CHS Class of 1973, is a licensed psychologist with almost 40 years experience as a rehabilitation psychologist and neuropsychologist. Dr. Caffrey provides direct patient care in brain injury hospitals and acute hospital settings, serving patients with neurologic conditions and diseases such as: M.S., spinal cord injury, stroke, traumatic brain injury, blind and low vision, and brain tumors. He has additional extensive experience as a vocational specialist, a regional manager in private sector rehabilitation, in a university-based technical assistance project to Missouri educators modifying curriculum for disabled students, as a site supervisor of psychological services, as a visiting university lecturer and in hospital settings. He also brings his unique perspective as a survivor of a C3-C4 incomplete spinal cord injury with resulting quadriplegia from a 1972 Center High School wrestling match during practice. His inspiring recovery has certainly allowed him to connect with patients and families because of this shared experience from a life threatening and life altering injury. Dr. Stephen Smalley (1973) - Dr. Smalley is a renowned Radiation Oncologist who has practiced medicine since his graduation from the UMKC School of Medicine in 1979. He did his internship and residency at the Mayo Clinic before returning to Kansas City in 1986 to practice, teach, and engage in research at the University of Kansas Medical Center. He is currently a Clinical Professor at KU and continues to practice in the Kansas City area. Dr. Steven Currall (1977) - Dr. Currall is the Provost and Vice President for Academic Affairs at Southern Methodist University in Dallas. Prior to joining SMU, Dr. Currall held executive leadership positions at the University of California Global Health Institute, UC Davis, and the University College of London, and Rice University. His research area is Organizational Psychology and he has published numerous articles and books. His PhD is from Cornell University following a Masters from the London School of Economics & Politics and a BA from Baylor University. John Cassidy (1951) - John is the founder of the Winter Sports Program for Special Olympics of Kansas. As President of the Kansas City Ski Club, John got involved with the fledging Winter Sports Program in 1984. It became his passion. Working with volunteers and staff from the Ski Club and Special Olympics Kansas, John created the program that has been named in his honor, the John L Cassidy Heartland Winter Games. The competition includes over 350 athletes each year competing in Alpine and Cross Country Skiing, Snowshoe Racing, Speed & Figure Skating and Floor Hockey at venues including Snow Creek in Weston, MO. Bob Beltz (1968) - Bob Beltz is a minister, teacher, author and film producer. Bob was founder and then Teaching Pastor of Cherry Hills Community Church in Denver, and Senior Pastor of High Street Community Church in Santa Cruz, California. Bob joined the Anschutz Corporation of Denver, Colorado as a special advisor to Philip Anschutz, Chairman of the Board. In this role Bob helped develop, produce, and market films for the Anschutz Film Group, parent company of Walden Media (Holes, Because of Winn-Dixie, Around the World in 80 Days, I Am David, The Lion, the Witch and the Wardrobe) and Bristol Bay Productions (Ray, Sahara). Bob was the co-producer of Crusader Entertainment's film Joshua, based on Joseph Girzone's best-selling novel, and helped develop and produce Amazing Grace: the William Wilberforce Story. John Kenneth Adams (1952) - John is a world renowned concert pianist and music professor. After graduation from Center, he received his bachelors degree from UMKC, his masters from Yale University followed by his appointment as a Fulbright Scholar and three years of study at the Royal Academy of Music in London. He has been a professor of music for over 50 years at the University of Texas and the University of South Carolina. He has performed in 22 countries worldwide and was recently named as a Steinway Artist. Todd Dicus (1972) -Since 1993 Todd has worked at the American Academy of Family Physicians, one of the largest medical associations, with over 120,000 members, a budget of nearly $100 million, and a staff of over 400. He currently serves as the Chief Operating Officer and Deputy Executive Vice President, and has overall responsibility for development and implementation of operational strategy, including oversight of budgetary, information technology, human resources, legal and compliance functions. Prior to assuming his current position, Todd practiced law in Kansas City and served as the AAFP’s General Counsel. Todd received his undergraduate degree at Westminster College in Fulton, Missouri and his law degree from UMKC. Gary Neal Johnson (1968) - Gary is a long time presence on the theatrical stages of Kansas City as well as other cities. Perhaps his best known role is Ebeneezer Scrooge in the Kansas City Repertory production of A Christmas Carol by Charles Dickens. Steven Koltai (1972) - As a social entrepreneur, Steven has done pioneering work in using entrepreneurial practices to help low income communities in the US and abroad to dramatically improve their circumstances. Ben Schafer (1989) - Chairman of the Department of Civil Engineering at Johns Hopkins University and a leading international researcher on the use of thin walled structures for more cost effective buildings. If you would like to nominate a recipient for the Distinguished Alumni Award, click here to download the nomination form.